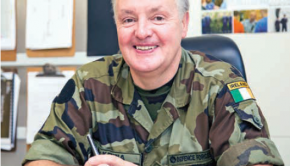 SIGNAL talks to the director of the Transport Corps, Colonel Sean O’Keeffe and he explains about the work that they do and the challenges ahead. 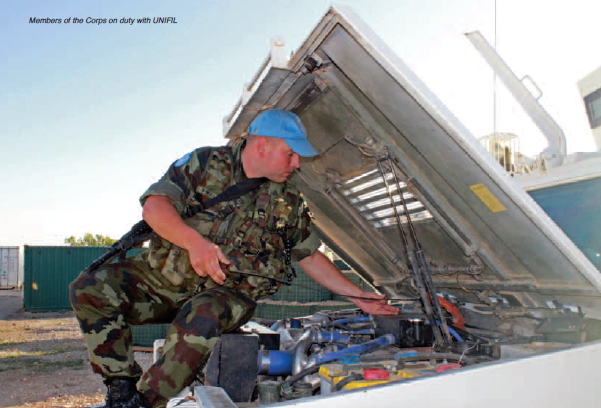 With a fleet of over 1,500 vehicles, and vehicle related accessories, the Transport Corps represents the Defence Forces most significant logistical capability. Whether fulfilling overseas or domestic roles, the Corps fulfil a range of capabilities, and are faced with constant challenges, in terms of delivering for the organisation, while facing the challenges of ageing vehicles and repairs. 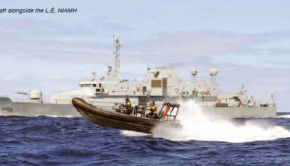 The Defence Forces operate one of the largest and most varied transport fleets of any Public Service agency. The fleet comprises a wide variety of what are deemed soft-skinned and armoured vehicles. Military vehicles are prepositioned at all Defence Forces locations and this includes deployed units in South Lebanon and Golan. In addition, the Defence Forces is capable of carrying out maintenance and repair work to ensure that the fleet remains operationally ready at all time. This is a significant asset and ensures that we have the expertise to provide service support backup when and where required. While it would be preferable to reduce the variety and makes of vehicles, the tendering process and the use of Office of Government Procurement contracting will inevitably mean that the range and origins of vehicles will remain diverse. has sufficient lift capacity to move all DF personnel, albeit in a variety of vehicle types. However, we currently have sufficient domestic – based tactical lift to move the equivalent of one Brigade strength. Administrative moves comprise the bulk of our day-to-day activities, and we maintain sufficient capacity for this purpose. How does the Corps manage the operation of the fleet? through making available third level course in such areas as Supply Chain Management. In the case of procurement, how do you manageand balance the cost versus maintenance issue? The Transport Corps has a policy of fleet renewal and disposal, introduced many years ago to address the problem of an ageing fleet. This policy demands that every vehicle has a notional effective life, after which it is taken out of service and listed for disposal by destruction. 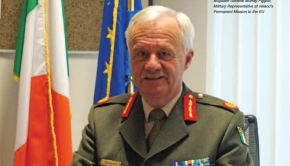 There is therefore a constant need for capital re- investment in ensuring that the Defence Forces retain a modern, efficient and effective transport fleet. In tandem, continuous review of capability requirements will determine the size and nature of the fleet, both for operational and administrative use. It is not simply replacing like with like. 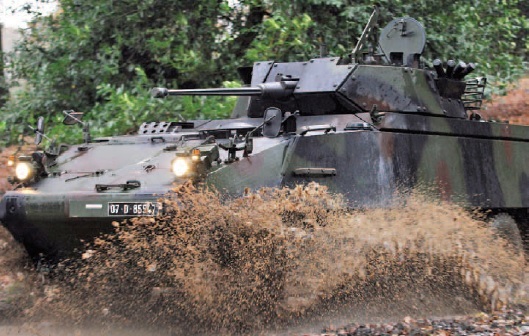 The dual use capability of certain vehicle types adds considerably to the Defence Forces ability to assist in national resilience as part of its Aid to the Civil Authorities role. However, the imperative to fulfil our primary operational tasks remains our key objective when it comes to fleet renewal. In terms of overseas operations, what are the prime logistical challenges and could you provide any examples of some of the most challenging operations the Corps has been involved in? I once heard a wise old soldier say that ‘you should never join a mission in a country that doesn’t have a coastline’. 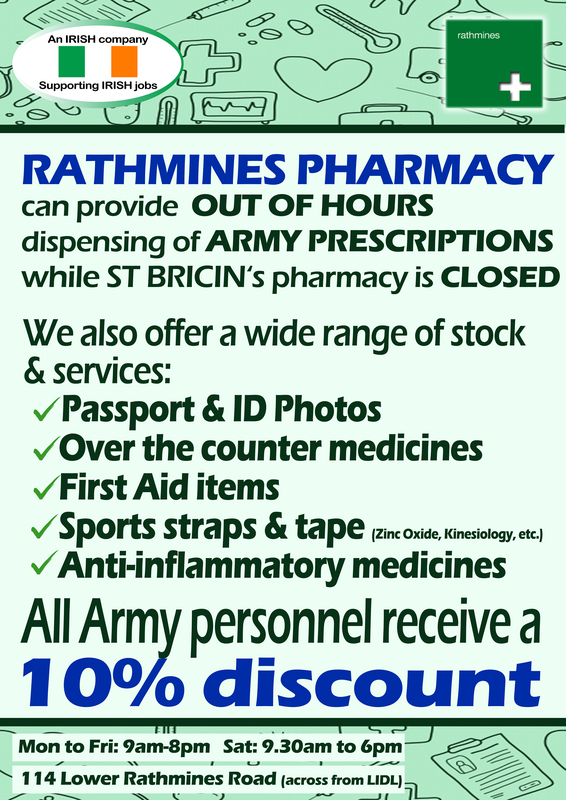 While this may not always be possible or feasible, the re-supply and logistical support of any mission involving the Defence Forces is considerably enhanced by strategic points of access, particularly by sea. While logistical re-supply is the remit of the Director of Logistics (J4), nevertheless, the Transport Corps works closely with J4 to ensure that the deployed transport fleet remains operational at all times. This requires close cooperation between our maintenance teams on the ground and at home. It is possible to pre-position essential spares in theatre, but the establishment of a logistical support system is crucial to operational effectiveness. The mission to Chad was no doubt one of the more difficult DF missions to sustain. 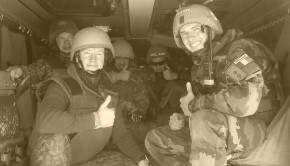 However, every mission presents its own challenges and I have great admiration and respect for the efficiency and professionalism which the Defence Forces continues to sustain the Irish involvement in PSO missions throughout the world. that the operational readiness states of the fleet remain high. In particular, civilian technicians provide considerable continuity and corporate knowledge in our Workshops. In addition, it is vital to retain close contact with manufacturers and suppliers to ensure that our maintenance teams have the right equipment, the necessary product support and the key parts to keep the fleet on the road. Despite this, there is a continuous requirement to keep maintenance and fitter numbers sufficient to meet the continuous demands of servicing and repair. investment, and this takes time and the long-term commitment of the necessary financial investment. What is required in my view is the constant examination and even questioning of the utility of our current fleet in order to shape the nature of the future fleet. In this regard I greatly value the contribution of members of the Transport Corps, particularly young officers and NCOs, who add considerable value through innovative and imaginative debate on the fleet of the future. What are the possible implications for the Corps resulting from the White Paper and will there be any considerable challenges/opportunities as a result? direction where we need to plan much of our future procurement requirements.